Tomorrowland for Just $23.40! Down From $39.99! You are here: Home / Great Deals / Amazon Deals / Tomorrowland [Multi-Format] Just $23.40! Down From $39.99! Tomorrowland [Multi-Format] Just $23.40! Down From $39.99! Head over to Amazon to order Tomorrowland [Multi-Format] for Just $23.40! Down From $39.99! Shipping is FREE for Prime members or on orders of $35+. 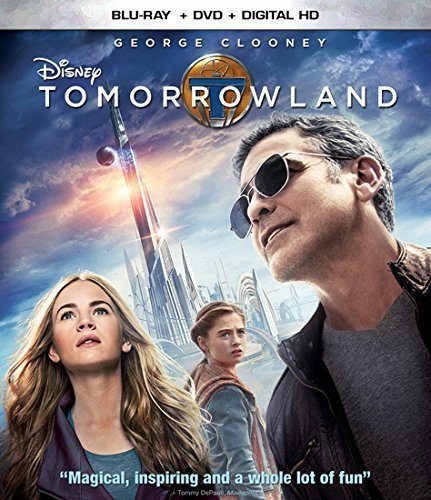 In Disney’s riveting mystery adventure TOMORROWLAND, a jaded inventor and an optimistic teen embark on a danger-filled mission to unearth the secrets of an enigmatic place somewhere in time and space!